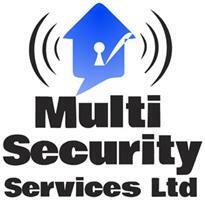 Multi Security Services Limited - Alarms/Security based in Eaton Socon, Cambridgeshire. Multi Security Services Limited is a locally based Home / Workplace security system installer. We pride ourselves on giving good old honest advice and excellent value for money. Having over 25 years experience in the installation of Burglar alarms, CCTV, Access Control and Fire systems we don't just do wireless alarms like the newcomers appearing. We know what we are doing!!! Family run with an emphasise on honesty, integrity and trustworthiness. We offer call outs without having to sign up to maintenance contract like some. You pay for what you get, and that's great service. Get in touch to improve your peace of mind.